A body lift, performed by one of Wilmington Plastic Surgery’s world-class surgeons, can improve the shape and tone of the body’s underlying tissue. With a body lift, excess fat and loose skin are removed to treat conditions caused, in part, by poor tissue elasticity. In addition, the procedure(s) can improve a dimpled, irregular skin surface, commonly known as cellulite. Body lifts are not intended strictly for the removal of excess fat, as liposuction alone can remove excess fat deposits where skin has good elasticity and is able to naturally conform to new body contours. In cases where skin elasticity is poor, a combination of liposuction and body lift techniques may be recommended.  Call Wilmington Plastic Surgery today for a consultation with one of our board-certified, fellowship-trained plastic surgeons on how you can meet your aesthetic goals. An arm lift (or brachioplasty), performed by one of Wilmington Plastic Surgery’s world-class surgeons, can fix a drooping, sagging appearance in upper arms caused by fluctuations in weight, advancing age, and even heredity. Exercise may strengthen and improve the underlying muscle tone of the upper arm, but it cannot address excess skin that has lost elasticity or underlying weakened tissues and localized fat deposits. This issue is naturally more prevalent in women than men, and is one of the most common complaints women report about their body image. Fortunately, Wilmington Plastic Surgery can correct this problem. Our experienced surgeons get excellent results using a brachioplasty to reshape the under portion of the upper arm, from the underarm region to the elbow, making it firmer and sleeker. Call Wilmington Plastic Surgery today for an appointment with one of our board-certified, fellowship-trained plastic surgeons. Please note: In order to achieve your improved image, there will be a scar on the inside of your upper arm. Thigh lifts are not intended strictly for the removal of excess fat, however, as liposuction alone can remove excess fat deposits where skin has good elasticity and is able to naturally conform to new body contours. In cases where skin elasticity is poor, a combination of liposuction and thigh lift techniques may be recommended. If fitness and weight loss efforts have not achieved your goals for thighs that are firmer, more youthful-looking and more proportionate to your overall body image, ask one of the four world-class, board-certified surgeons if you are a candidate for thigh lift surgery. Our team has excellent results with this procedure, among many others that have helped patients throughout southeastern North Carolina achieve a more pleasing appearance. Call Wilmington Plastic Surgery for an appointment today.